I really like this app and used it last year. However, I downloaded it just a week ago to use again and it keeps freezing after a couple of inputs of information. I’ve deleted the app and downloaded it again but that didn’t work. I’m using it on the IPhone XR. If not for this, I would rate it at 5 stars. It will be much faster to just open the app and see the barcode scanner there and added to food Without having to press onto many buttons to add the food I need to scan a barcode a faster way I also click on the tab for breakfast And I must check on the Breakfast blue letters instead of just tapping on the whole tab 😒. I would like to tap on the tan once and not twice to confirm. I don’t want to share my location information and it asks me EVERY time I open the app. Also, if you want people to BUY the app, then some additional suggestions: * allow me to **share** a recipe * allow me to **copy** a recipe and **paste** it to edit for a slightly different mix (e.g. : changing out beef for chicken in a chili recipe). 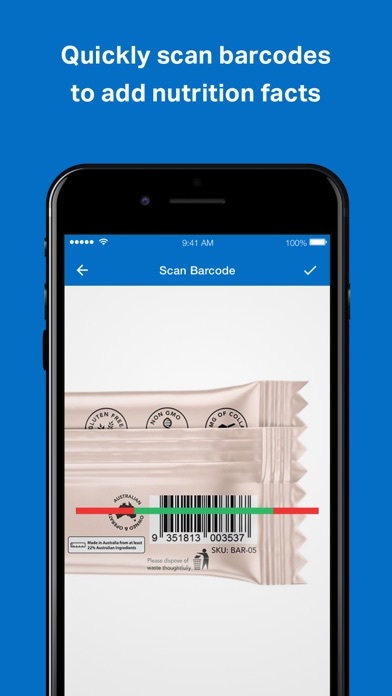 I usually love this app but after the new update barcodes that normally work by scanning will no longer add. Any chance this app will ever be updated to stop the constant crashing? Perhaps it’s the ad servers crashing the app. Update: still crashing after latest “update”. If it’s not the ad servers making this app crash constantly, then someone needs to step up and fix this mess. For this you lose one star. 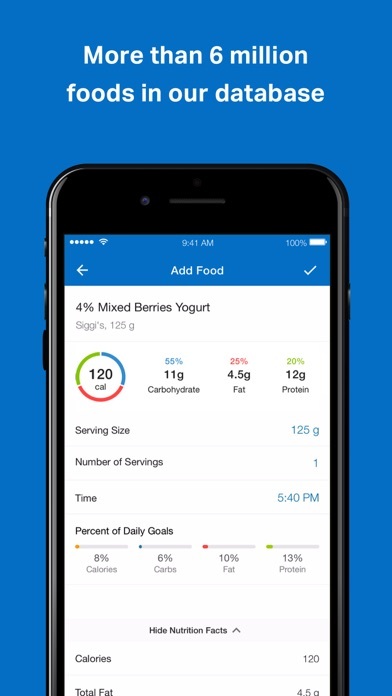 I really think this is the best app on the market for tracking macronutrients. Very user friendly. I would say over 95 percent of the items I scan are found and directly match the labels. You are able to create recipes too which is nice. 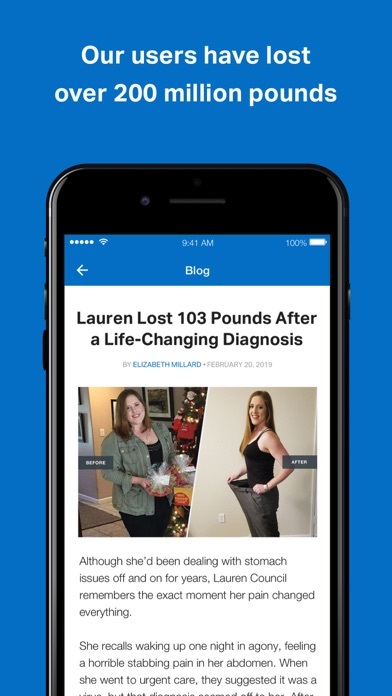 You can always find a good article to read as well in the blog portion of the app. Tracking weight and progress is supported by a nice line graph to help visualize progress. Occasional crash but no reason to knock the app for that, all apps crash. 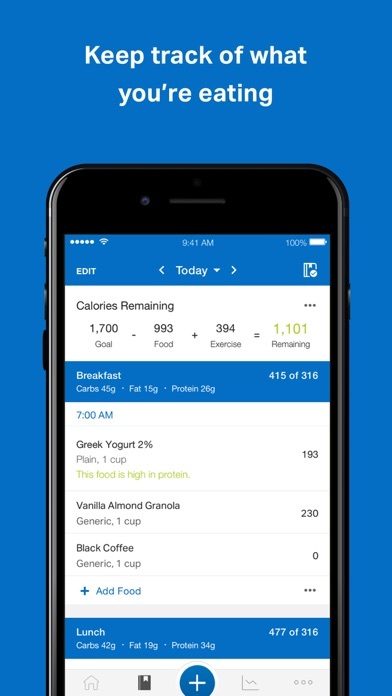 I do think adding a calculator to the app would do wonders for those tracking food intake very specifically. Is that something that will ever happen? 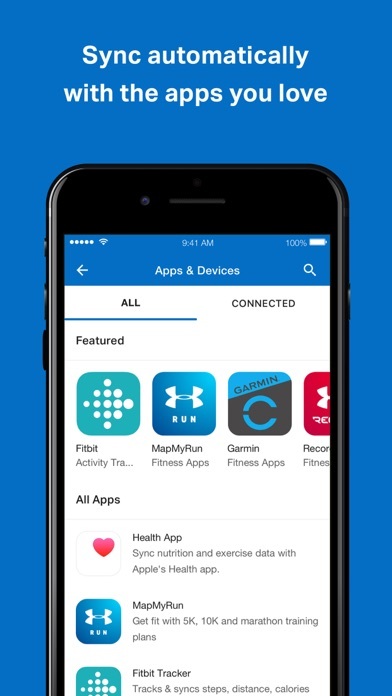 I found this to be the most unhelpful fitness/health app. I tried the “free” trial and they make it impossible to cancel. I have to now drive to my cell provider to help me unsubscribe to this app. Perfect App but Please Fix Crashing Issue! I’ve only been using this app for a week and have, no joke, lost 4 pounds (hopefully 5 by the end of the week which is my goal). I’ve been wanting to lose 30 pounds now for the last couple years but had no direction until I found this app. You can plan and adjust your food schedule each day to find what works for you and helps you lose weight at the same time. It also is a good learning experience because I had no idea half the crap I was eating was as much calories as it was - it’s great. You can also upload private progress pics and see how you change day by day. I’ve already seen some subtle changes in my waistline. Can’t say enough good things but please fix the crashing issue!! I can’t go on for more than 5-10 minutes at a time without it crashing on me. Good thing this app doesn’t require a ton of time on it otherwise I would have deleted it by now.